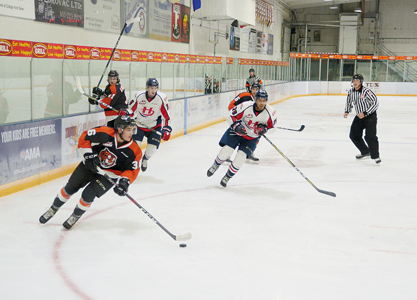 Once again the Medicine Hat Tigers left the Taber Ice Arena victorious over the Lethbridge Hurricanes. As part of both teams preseason schedule, the two were once again welcomed with open arms by the Taber community to kick off the hockey season. The first period saw Jaxon Steele of the Medicine Hat Tigers pot two goals on Cane goaltender Akira Schmid for a two-goal leading heading into the second. The bad news continued for Lethbridge in the second frame as Baxter Anderson scored in just under the first three minutes of the period. The Canes would answer back quickly though as Noah Boyko scored a fancy goal less than 30 seconds later. That’s all they could muster in the middle period though as the Canes went into the third and final frame down 3-1. Medicine Hat’s Cole Sillinger would score quickly in third with a power play marker to put the Hurricanes down by three with a little less than 15 minutes to play. Lethbridge made it interesting though as Ty Prefontaine cut the lead to two with a goal at the 11-minute mark. The back and forth affair continued as the Tigers once again answered the bell quickly as the Taber Arena saw Josh Williams score on the Medicine Hat power play less than a minute later. The final minutes of play saw the two trade goals again as Taylor Ross would score on the Hurricanes power play to make it 5-3 at the 16:22 mark but 25 seconds later, Cole Sillinger put back his second of the game to make it a 6-3. The Tigers would hold on to the lead and take the game by a final score of 6-3. The two teams won’t meet again during the preseason but will kick off the WHL regular season with a home and home. The first WHL regular season game for the two squads goes in Lethbridge on September 21 at 7 p.m. and will be followed up with a trip to Medicine Hat for game two the next night at 7:30 p.m.